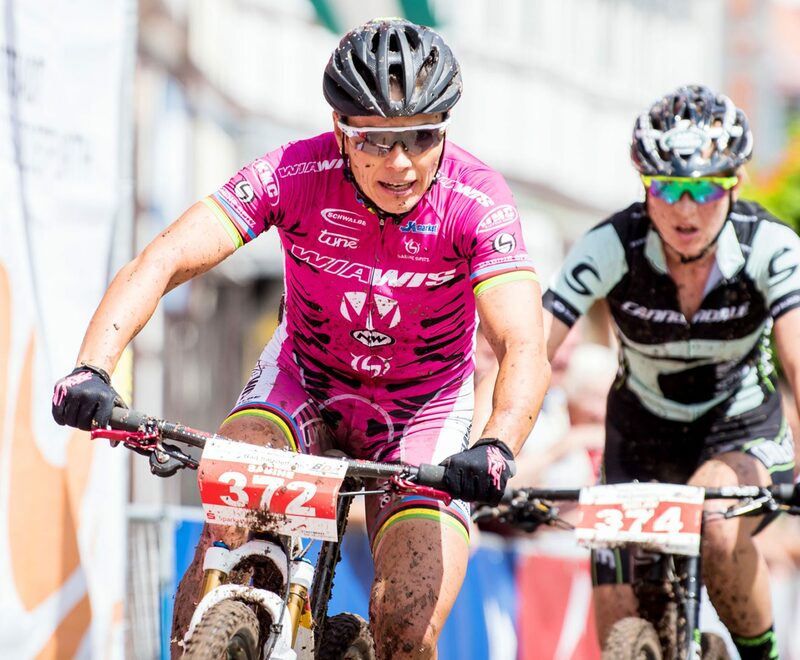 At the German Mountain Bike Championships in the Olympic cross-country, Olympian singer Sabine Spitz (WIAWIS Bikes Pro Team) succeeded in defending her DM title in Bad Salzdetfurth and thus won the total of the 19th Mountainbike DM Gold. The Olympian singer beat the 20-year-old rival Helen Grobert (Weilheim) in a very exciting duel after a journey time of 1:29:01 hrs by seven seconds. In the first round, Sabine Spitz had an unfortunate fall, which drove her back to fourth place, but otherwise had no consequences. 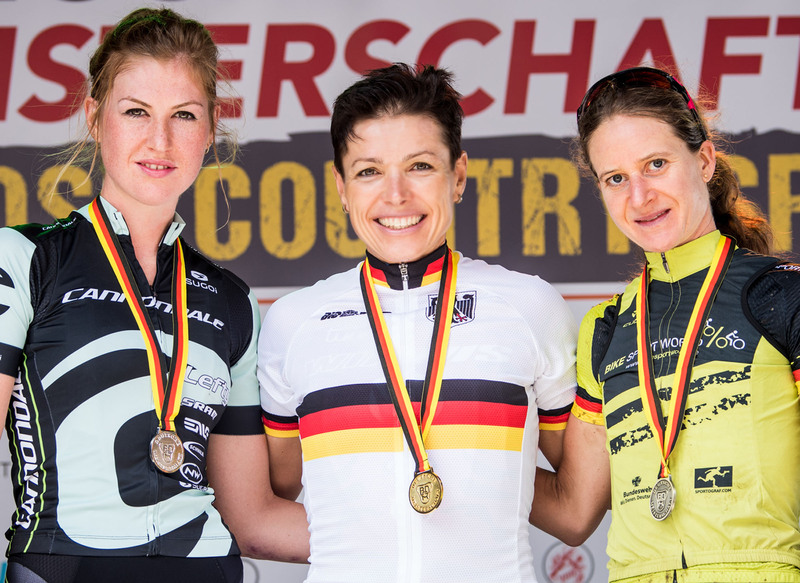 From the “ground contact” drawn the German record champion already managed in the second of a total of seven rounds of 3.4 km again the connection to the top of the race. In the next few rounds, Helen Grobert was the only one to be able to follow the temptation for the three Olympic medalists. So it came to the duel Sabine Spitz against Helen Grobert, that is growing ever farther. The 45-year-old had already made a decision in the penultimate round of the mountain, but Grobert was able to close the gap again in the downhill sections. In the last round, Spitz tried again on the mountain. This time, the difference was big enough and with a lot of routine, she took the lead in the last flat pass and ultimately celebrated her 14th DM title in the Olympic cross-country discipline.